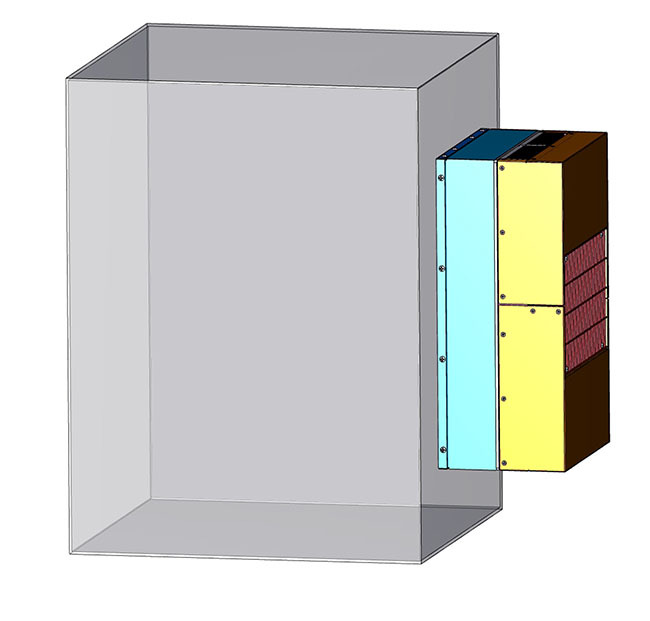 A first in the thermoelectric industry, TECA introduced enclosure coolers with performance ratings of 3,500 BTU/HR and up 6,000 BTU/HR about six years ago. TACAN is a radio system which can provide aircrew with navigation and bearing information. A market leader in military solutions uses TECA Model AHP-1800XHC as a standard component to provide cooling to their mobile TACAN system. 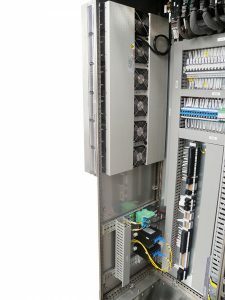 AHP-1800XHC is well designed for this type of application. For reliable performance under harsh conditions, we use military-grade sealed fans and components on the hot side (external to enclosure). The AHP-1800XHC heats and cools as needed without maintenance or repair down time. This has been crucial for our customer, who markets their mobile TACAN system as self-sufficient. TECA has been designing and manufacturing for harsh military environments for decades. Contact us to discuss your our solutions for NEMA-4X and Shock & Vibration. A materials science company specializes in creating foams with specific porosity for use in electric vehicles, batteries, thermal interface materials and ceramic-metal interfaces. 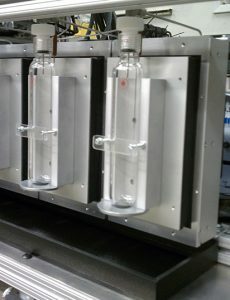 Utilizing a TECA thermoelectric cold plate as a component within the freeze tape caster ensures the manufacturing process remains environmentally friendly. 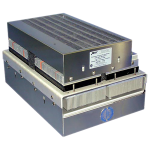 Peltier cold plates use no freon, coolants, or chemicals of any kind. In this example, the customer has slightly modified a commercially-available, off-the-shelf (COTS) TECA cold plate to reach the desired -10C set point. 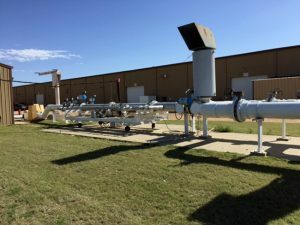 Our customer operates a wastewater treatment plant for a large municipal sanitation district. Operating some of the plant’s equipment is a large-process industrial air compressor. The air compressor’s controls are housed in an outdoor cabinet. Taking advantage of TECA’s NEMA-4, flush-mounted design, the customer has TECA Model FHP-1501XE mounted to the control cabinet. When ambient temperatures rise, the FHP-1501XE keeps the heat-sensitive controls cool while maintaining the cabinet’s NEMA-4 rating. The flush mount design is convenient for the end user because the cabinet’s contents do not need to be disturbed or rearranged to accommodate the air conditioner. How Strong is That Asphalt? Several FHP-2250 Air Conditioners are used by our client to keep I/O racks within the operating temperature during peak ambient temperatures. Located in a dusty, high ambient industrial environment, our client originally tried cooling the control cabinets with fans and filters. 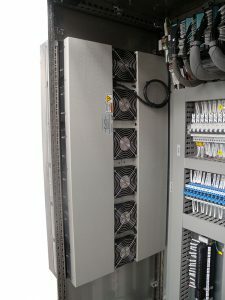 However, with the ambient temperatures reaching 120F, the I/O racks faulted. 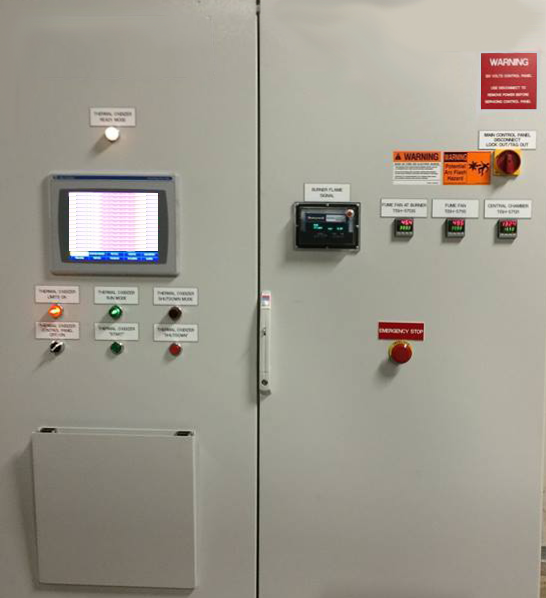 Our client has half a dozen gas burning drying chambers, with a TECA FHP-2250 enclosure cooler mounted to each chamber’s control cabinet. The TECA solution is, in our client’s words “best for high ambient, low maintenance and dusty conditions to control interior temperature of these cabinets”. 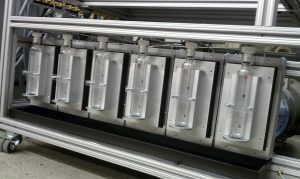 A flow testing facility required precise heating and cooling of a NEMA-4 enclosure in an outdoor application. The customer’s NEMA-4 instrument box houses very sensitive transducers and data acquisition equipment. 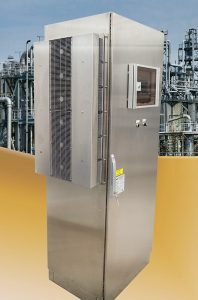 TECA Model AHP-1200XEHC paired with the TC-3400 remote temperature controller protects the enclosure’s contents from extreme temperatures in the ambient. The customer can monitor and set the controller without opening the NEMA-4 enclosure. Custom programming achieves exact set points as specified by the customer. 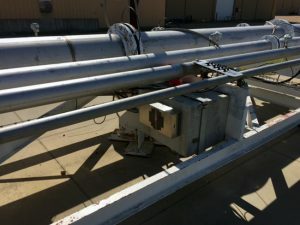 The sealed, industrial grade external fan allows for wash down of the enclosure and exposure to the outdoor environment, all while maintaining a closed loop system. TECA Model AHP-1200FFHC was chosen by our customer to provide thermal management to an ATM kiosk. Electronics components often require cooling AND heating. 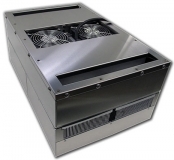 The TECA cooler provides both heating and cooling to the kiosk. This ATM kiosk will be installed in dozens of locations with the TECA air conditioner, AHP-1200FFHC. Thermoelectric technology is a reliable and low maintenance way to protect electronics. Utilizing the Peltier effect, TECA enclosure coolers (and heaters) do not require coolant, chemicals, compressor or filter. 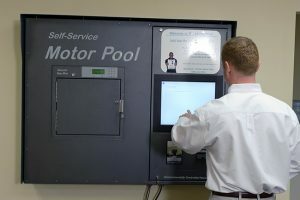 A company specializing in fleet management and motor pool software required multiple outdoor, self service kiosks to be placed in various environments throughout the USA. 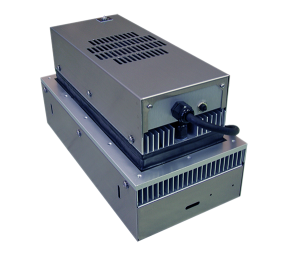 TECA’s AHP-470XEHC thermoelectric air conditioner is an ideal solution, providing needed cooling to sensitive parts within the sun-exposed kiosk. 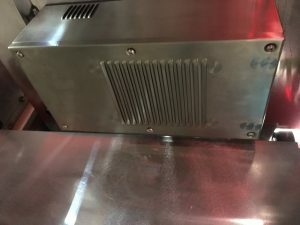 The AHP-470XEHC air conditioner cools the kiosk without taking up much space and it is suitable for various environments including NEMA-4 enclosures. Heat/Cool is optional, as are external covers for aesthetic purposes. 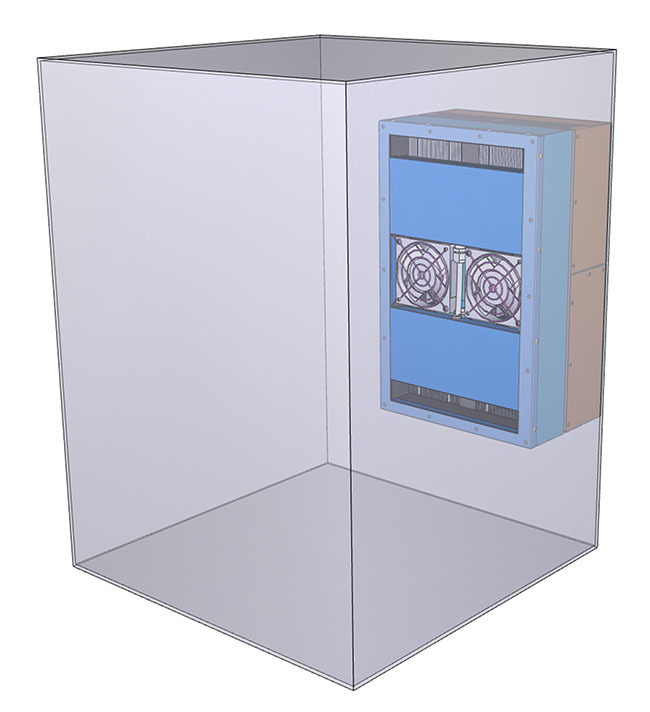 Whether space is restricted inside or outside your kiosk, TECA offers three mounting styles for kiosk cooling: Through, Internal and External.